The New Year has just gotten started, so it’s not too late to make one more resolution: schedule dental checkups for you and your family. With regular dental checkups you can help your loved ones have beautiful and healthy smiles. Dr. Deborah Romack and Dr. Garrett Mulkey of Cosmetic & Family Dentistry in Weatherford, TX, provide the gamut of services for general dentistry in Aledo. In keeping with the recommendation of the American Dental Association, Dr. Romack and Dr. Mulkey would like to see you at least twice each year for checkups. At these regular visits, we’ll clean your teeth, remove plaque buildup, and take x-rays when necessary to uncover spots of hidden decay. Of course, if we find a problem at your checkup, such as a cavity, we will treat with expediency. We’ll also look for any signs of problems that might require further treatment, such as TMJ dysfunction, teeth grinding and clenching, or sleep apnea. We can treat all of these with a custom fabricated intraoral appliance that you’ll wear at night. 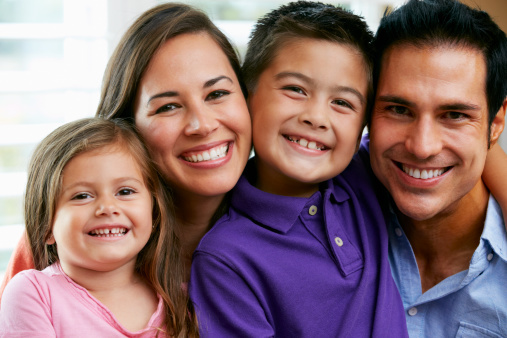 To make taking care of your entire family’s oral health as easy as possible, Cosmetic & Family Dentistry provides children’s dentistry, as well. We love having little ones in the office, and we’d like to start seeing them by the time they’re three years old. Just because your children’s teeth are “newer” than yours doesn’t mean they’re immune to cavities or gum disease. And because those baby teeth are important place holders for children’s permanent teeth, keeping them healthy is all the more critical. To that end, Dr. Romack and Dr. Mulkey may suggest fluoride treatments and dental sealants for your children’s teeth. Fluoride strengthens teeth’s enamel, and dental sealants create a barrier against bacteria on the surface of your child’s permanent molars once they’ve erupted. If you’re looking for a general dentist in Aledo, make the drive to Weatherford, TX, to see the dentists at Cosmetic & Family Dentistry. We also conveniently serve patients in Brock, Millsap, Springtown, Mineral Wells, and beyond.